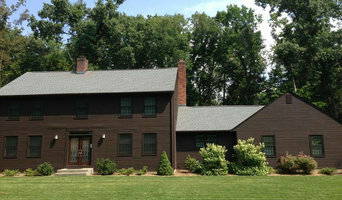 Adam Quenneville Roofing & Siding Inc.
Arnone Building & Remodeling, Inc.
We’re a skilled CT residential remodeling company with a great reputation to assure you an enjoyable stress-free experience. We never pursued commercial, industrial, new home construction nor evolved from another trade such as roofing, siding, landscaping or painting. We truly possess the knowledge & experience to successfully build any ground or second story home addition, remodel any kitchen, bathroom or all other home improvement projects along with the discipline to assure the care, respect & courtesy you, your family and home deserve. Award Winning Better Business Bureau Company 2011, 2012, 2014 & 2016 • Establish 1973, 44 consecutive years. ( self-employed at 19) • Never a revoked license. Never a suspended license. • Never went bankrupt . Never changed company name. • A+ rating, CT Better Business Bureau (no complaints past 29 years) • Not been sued by a homeowner pass 29 years. • Not had a general liability claim filed pass 29 years. • Never had any OSHA violations. • Owner is founder, estimator, designer & working foreman. • Financing available • Approved FHA 203K Contractor • All Testimonials are genuine & recent. • Owner of company never been arrested, never taken drugs. • Offers Starting & Completion date. • Licensed & Insured (up to date documents posted on web site) • Approved Contractor for Home Handicap Modifications • Approved Ct. Contractor for SAH Grants (Specially Adapted Housing ) • Approved Ct. Contractor for SHA Grants (Special Housing Adaptations ) • Approved Ct. Contractor for TRA Grants (Temporary Residence Adaptation) • Certified "Lead Safe" Contractor • Never has any sub-contractor nor supplier placed a lien on my customers home for non-payment. Just Fix It is a family run business that has been serving the Fairfield County for 20+ years, and customer satisfaction is our goal. We are a licensed home improvement service that can take on any task, big or small! Scott Keller is the founder of Just Fix It. He has worked in the automotive collision repair industry for many years. In 1997, he decided to start pursuing his dream to work with homes instead. Ever since then, he's been turning homeowner's dreams into a reality. With his background on cars, painting, refinishing, and carpentry he knows how to pay close attention to detail, and will make sure your job is done perfectly. Let us turn your vision into a reality, and create your home into something you've always dreamed of! 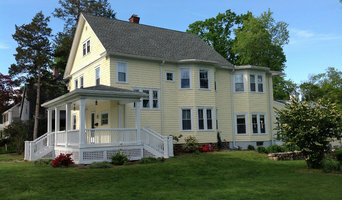 Alan Dinsmoor’s Contracting Service is a fully licensed and insured, Connecticut-based company. BBB A+ Accredited and Insured. Master Craftsman and Tile Artists, Since 1982, we've served residential and commercial customers across Connecticut, as well as throughout southeastern New York State. We call ourselves “Quality Finish Tradesmen,” because quality is exactly what we deliver on every job. Dedication to traditional craftsmanship is at the very heart of our company, but we've also incorporated the precision and efficiency of today's tools and technologies. As a result, we're able to achieve outstanding results for our customers at an affordable price. Owner Alan Dinsmoor, personally leads every project onsite, ensuring that every job is performed to the highest degree of satisfaction. We Guarantee it 100% We offer a wide range of services, with specialization in creating and installing custom wood cabinetry for kitchens, bathrooms, Tile and tile artistry as well as cabinet refacing, custom woodwork, moldings and trims, fireplace mantles, and wood wall and floor installation, and heated flooring. A number of related services are also available, including custom tile work, installation of new sheetrock and plaster walls and existing wall repair, and high-quality interior painting services, including spectacular faux finishes. Additionally, we offer roof installation and replacement and have over 35 years of experience at your side. Our roofing systems are extremely effective, reliable and durable. 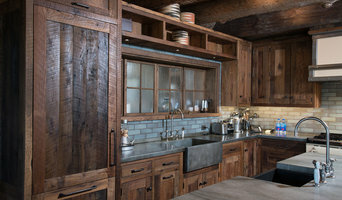 Cabinetry options are limited only by your imagination and budget, ranging from traditional to modern, antique-style reproductions to one-of-a-kind custom designs that combine flair and functionality that will enhance the beauty of any home or business. 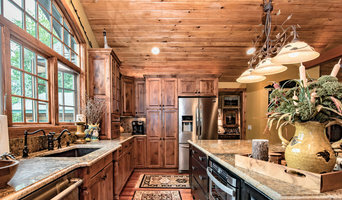 Our custom cabinetry work is guaranteed for its useful lifetime. We define that lifetime at 20 years. Compare that with traditional production-style cabinets, which typically offer only a manufacturer's warranty of only between one and ten years. That alone speaks volumes about the quality of our work. Please call us today 203-910-5005 —we offer a free initial consultation and a realistic estimate, and all our work comes with a written guarantee. We look forward to speaking with you soon. Thank You.